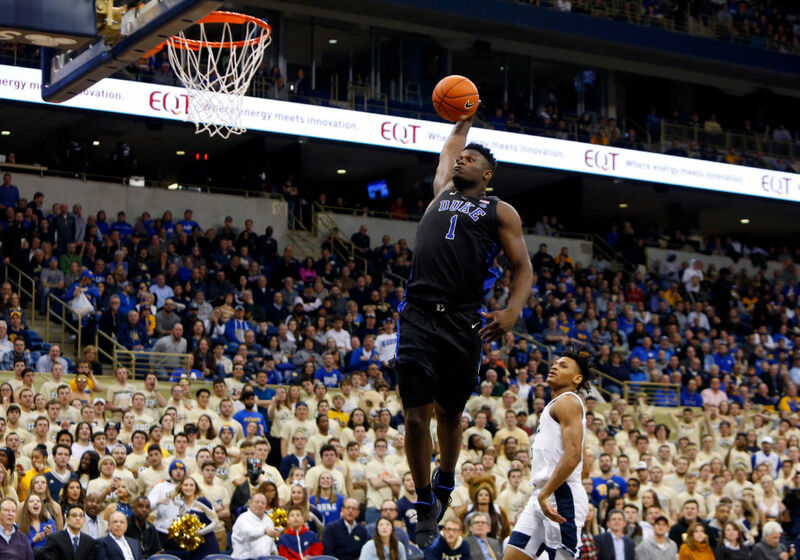 When Duke's Zion Williamson injured his knee less than a minute into a game against North Carolina, the whole basketball world went crazy. We had seen Williamson do several unthinkable things, like hitting his head against a backboard while blocking a shot or completely denting a basketball. Now, we have seen him do something else impressive: his foot burst right through his shoe. Plenty of people didn't know about Williamson before the season. Or maybe they had heard about him but hadn't seen him play. Well, the basketball world knows now. And it's thanks to Duke being all over ESPN. Even with his injury, Williamson is likely going to be the No. 1 overall pick. That'll net him a four-year rookie contract worth about $33.7 million, per this year's NBA rookie salary scale. Sure, Williamson could have gone to the G-League and gotten some experience against NBA-capable players. But he'd only make $35,000 this season and probably wouldn't generate the hype he did at Duke. G-League players will start making $125,000 per year starting with the 2019-20 season, which makes the decision more interesting, especially for fringe NBA players. But again, going overseas may have ended up hurting Williamson's prestige. Guys like Brandon Jennings and Emmanuel Mudiay did it, playing in Italy and China, respectively. Both players have had fairly productive NBA careers (Jennings last played in the NBA in 2018), but would they have gotten more exposure staying in college? In Williamson's case, the answer is pretty clear. Having almost all of his games televised nationally has paid off in a huge way. And let's not discount that it's exhilarating to play college basketball, particularly in an environment like Cameron Indoor Stadium. The NBA has recently discussed reinstating its rule that allows players to go straight from high school to the league. We may see fewer star players in college, so let's embrace them while we can. That extra attention only helps them in the long run. After DeMarcus Cousins had two more incidents in February, the Kings brass finally decided they had had enough. How much money did they save by trading Cousins away? DeMarcus Cousins has played his whole career in Sacramento, only to be abruptly traded to the Pelicans during the All-Star Game. We dive into why this actually makes sense for both teams. While the stars make the headlines, NBA games are often one thanks to key role players. These five guys changed teams this offseason, and they just might make a massive difference throughout the year.